Not only is it an excellent time of the year to visit the vibrant city of Munich, this year, the European Sign Expo is taking place as part of the FESPA Global Print Expo being held at the Munich Messe. European Sign Expo is dedicated to the signage and visual communications industry and is back for its seventh edition. 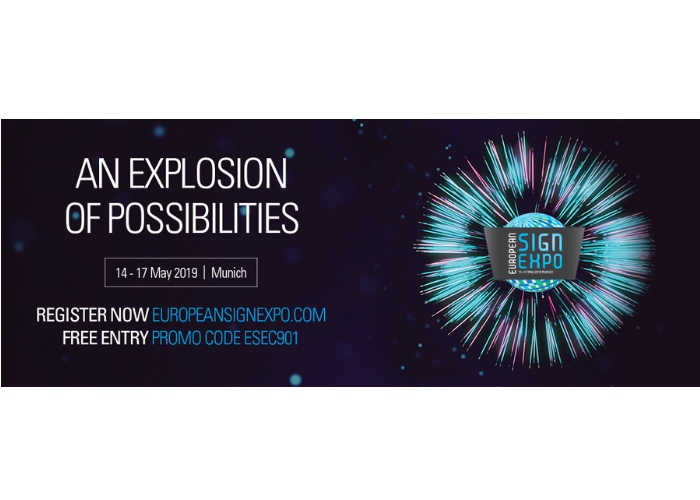 European Sign Expo will take place over 4 days from 14th – 17th May 2019. Visitors will experience the very latest developments in technology, software, tools, applications and industry trends as well as have the opportunity to meet friends, colleagues and create new networks of suppliers. To save €70 and attend the exhibition for free, please use the this link that is available only to ISA-UK Members here in the UK. ISA-UK encourages you to take this opportunity of not only seeing an informative and inspired show but having an enjoyable time in the great city of Munich.